Title slide of Capital Metro’s CCCTA presentation to Austin City Council Mobility Committee on Feb. 3rd. Screen capture: ARN. 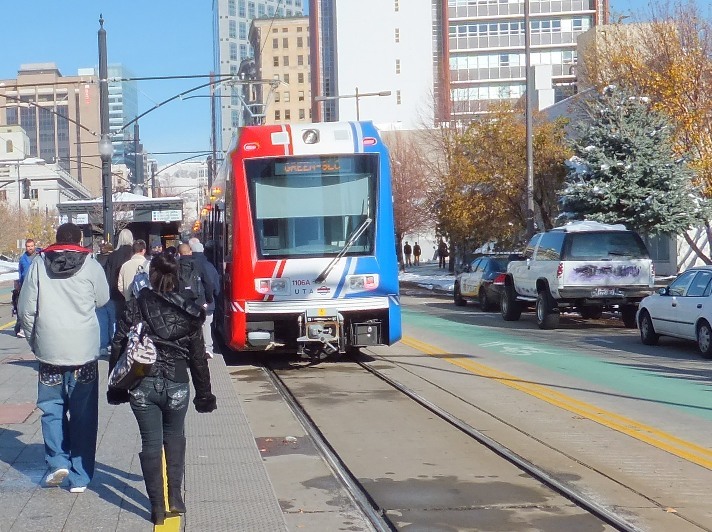 After months of preparation, organizing, bidding, and selection, with lots of fanfare Capital Metro at last launched its $3 million, 30-month (2.5-years) Central Corridor Comprehensive Transit Analysis (CCCTA) study. In a Jan. 25th news release, Capital Metro announced that its board of directors had selected engineering firm AECOM as the lead consultant to conduct the Central Corridor analysis. To the uninitiated, inexperienced, and uninformed, this latest study might seem some kind of step forward for Austin’s transit development. After all, its elements include impressive-sounding goals like “An in-depth study of a variety of transportation modes and their potential for creating improved transit options within the corridor”, “A multimodal transportation plan that improves the feasibility of transit in the Central Corridor while effectively maximizing connections with regional routes in surrounding communities”, and “A realistic cost analysis for building, operating and maintaining the proposed sustainable and connected transit system”. 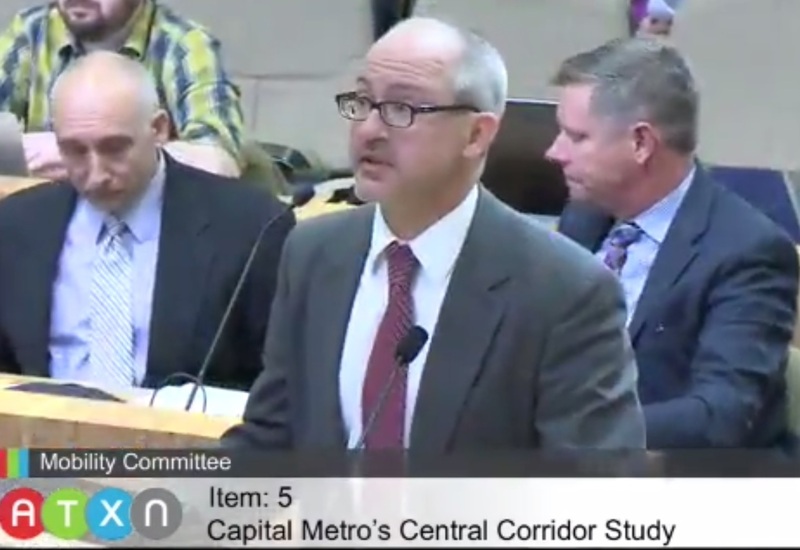 Capital Metro’s planning chief Todd Hemingson explains CCCTA study to Austin City Council Mobility Committee on Feb. 3rd. Photo: ARN screenshot from official video. 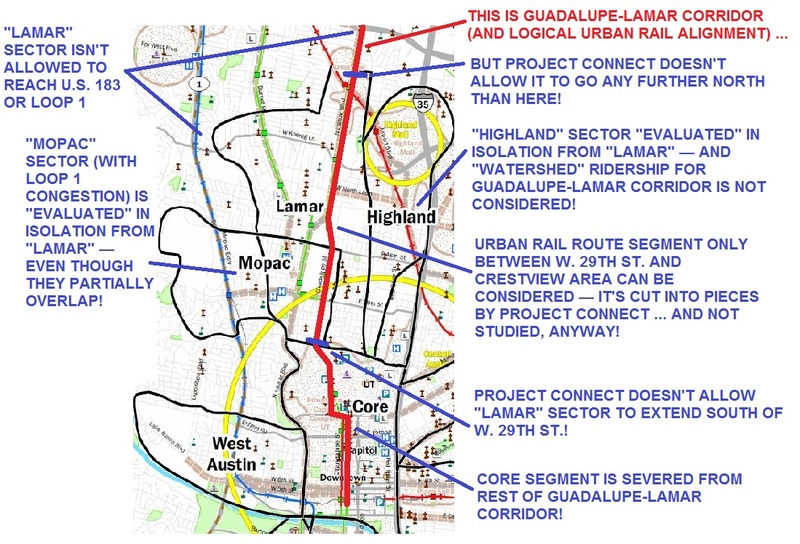 To get a breathtaking idea of the time, resources, energy, and money Austin has sunk into planning for “high-capacity” public transport, just check out our February 2015 chronicle of studies and re-studies of light rail transit (LRT) in the Guadalupe-Lamar corridor: «Long saga of Guadalupe-Lamar light rail planning told in maps». 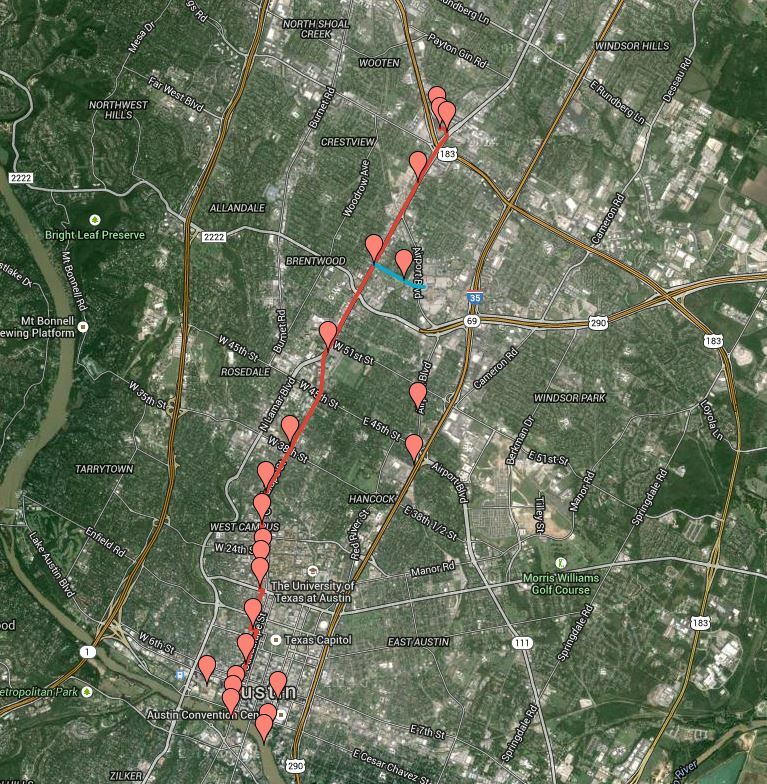 This central travel corridor’s high level of traffic, population and employment density, and crucial position accessing and connecting vital activity centers (like UT, the Capitol Complex, and downtown) with key established neighborhoods and extended commercial activity along the route have made it the focus of planning for rail transit for over three decades. In terms of public transit, Austin clearly is a top contender for the Analysis Paralysis gold medal. And Capital Metro’s latest CCCTA study, as it’s currently designed, surely represents Exhibit A toward this dubious award. 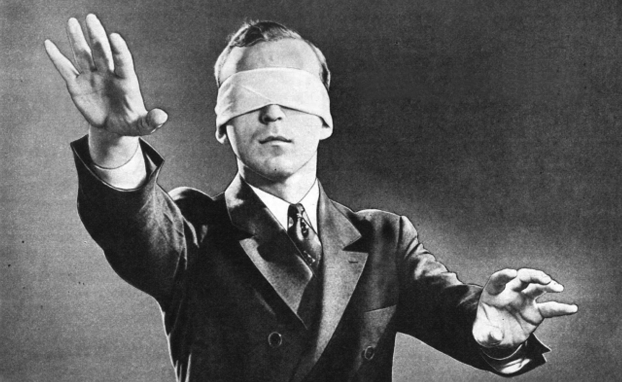 The confusion, misdirection, conflicting intentions, and lack of purpose underlying this “paralysis” were discussed in our March 2015 article «Austin’s urban transport planning seems struck by catastrophic case of amnesia and confusion». Meanwhile, as meaningful public transport planning continues to languish, the Austin metro area is experiencing a veritable blitz of intensive highway development and construction, including at least three new tollways, massive projects on I-35, and assorted projects throughout the urban area. 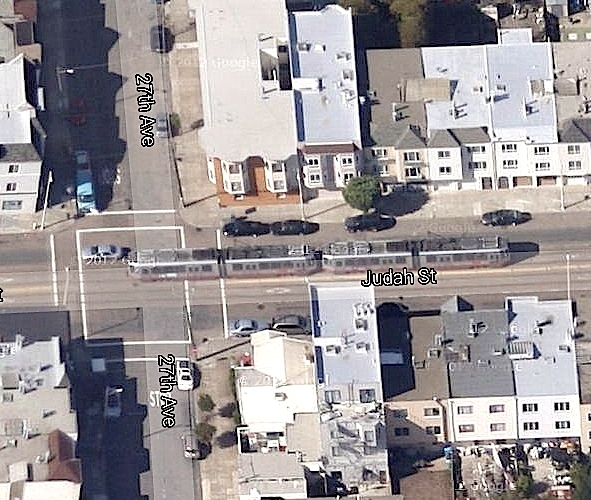 As the saying goes, “Roads get built, transit gets studied“. Project Connect back from the dead? But confusion and a continuation of “analysis paralysis” aren’t the only problems with the CCCTA study. As currently configured, the study seems little more than a rehash of Project Connect’s ill-fated “High-Capacity Transit Study” which elicited such intense community outrage beginning in 2013, the precursor to its ultimate resounding rejection by voters in November 2014. Indeed, the CCCTA project seems the first major effort to resuscitate Project Connect since its 2014 debacle. It’s very important that we advocate against using the previous subcorridor definitions for any future high capacity transit planning project. In my opinion, these subcorridor definitions were deliberately designed to end up with a Red River alignment recommendation. So far, in the absence of any sense of direction toward a major urban rail investment, Austin’s top political and civic leadership is vulnerable to pressure by highway interests (such as TxDOT) for municipal general obligation bond funding for a heavy local investment in a massive I-35 overhaul and other huge highway projects. To this, a major rail transit starter line investment might be counter-proposed as a far more effective and desirable alternative for city bond funding. 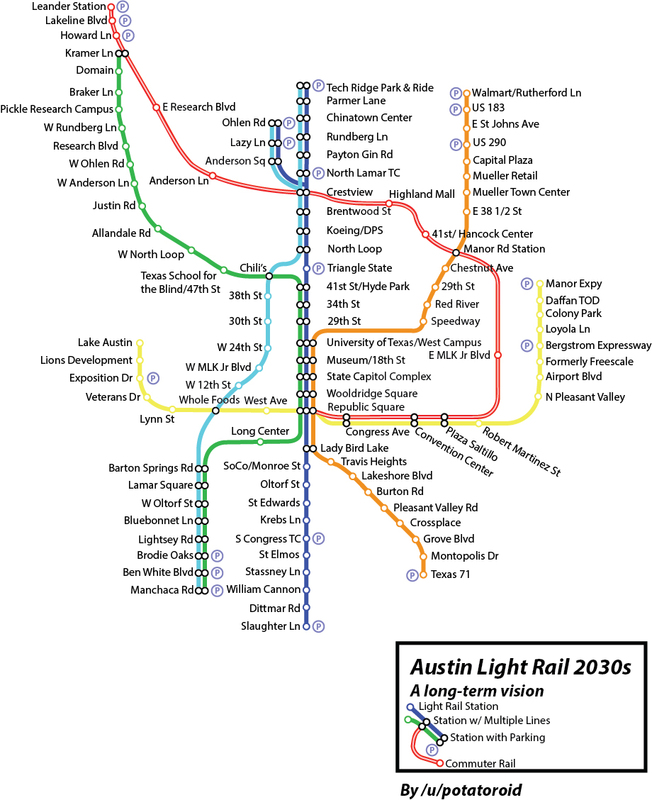 It would definitely seem time to end Austin’s decades of “analysis paralysis” and move forward quickly toward finalizing an urban rail plan for public approval — a strategy that could be expedited by re-directing Capital Metro’s CCCTA study. There is certainly sufficient planning and design preparatory work already in place to provide the voting public a basis on which to make a decision for the Guadalupe-Lamar corridor. The AECOM consultant team (widely respected in the public transportation industry, with experience with LRT in Portland, Minneapolis, and elsewhere) could simply update and tweak the major engineering studies that have already been done (e.g., those in 1993 and 2000) for the Guadalupe-Lamar corridor. Austin Rail Now proposal is one of several possible configurations already suggested for light rail starter line in Guadalupe-Lamar corridor. Graphic: ARN. 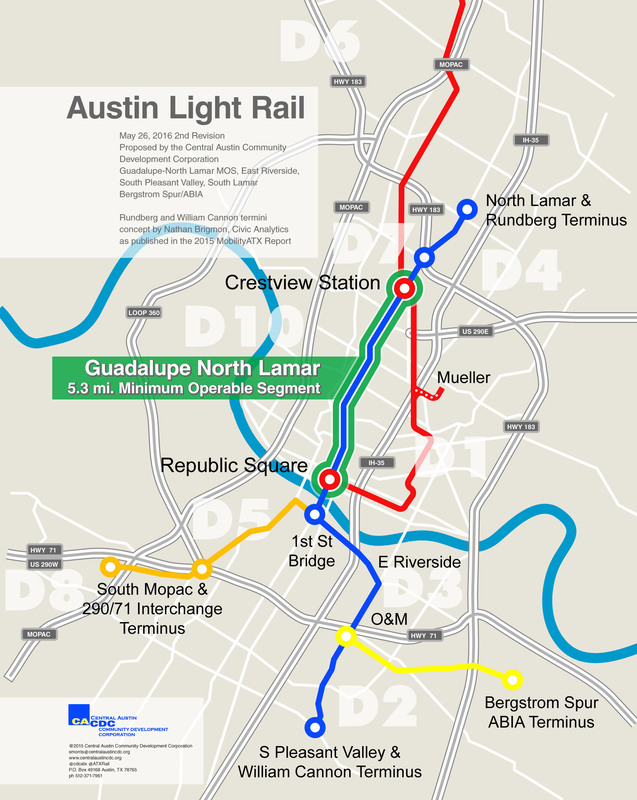 This would likely require a major intervention by Austin City Council members to request Capital Metro to negotiate with its consultant team for a modification of the CCCTA work plan — eliminating the proposed 30-month “slow track” study, and re-directing the project into planning, design, and engineering of LRT for the Guadalupe-Lamar corridor as suggested above. This would have the aim of placing a measure on the ballot for bond funding (to be kept in escrow till further planning and Preliminary Engineering/Environmental Impact Study tasks are completed). Adequate cost estimates are already on hand for such a ballot measure. The case for light rail transit (LRT) in Austin’s Guadalupe-Lamar corridor just received a huge boost with the publication of an op-ed in TribTalk, the op-ed web page of the widely respected Texas Tribune. 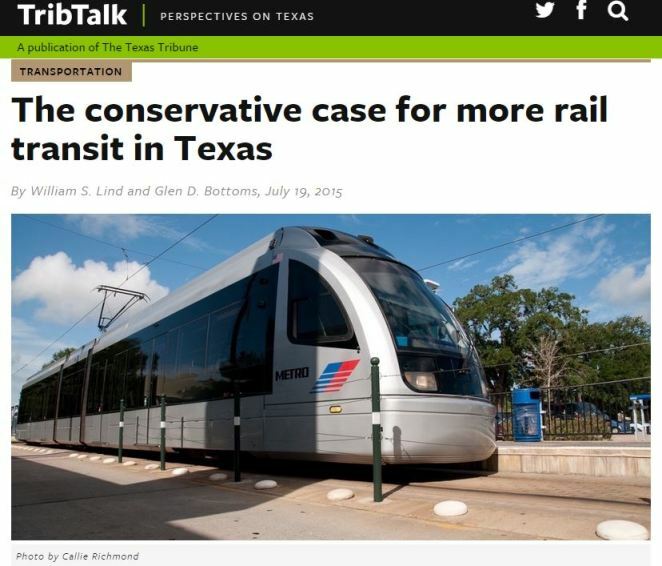 “It may seem unlikely in Texas, but across the state, people are benefiting from rail transit” say William S. Lind and Glen D. Bottoms in their commentary (ARN emphasis added here and subsequently). In Dallas, which now has the country’s largest light rail system, more than 100,000 Texans escape traffic congestion each day by riding Dallas Area Rapid Transit rail. In Houston, the light rail Red Line draws about 3,500 weekday boardings per mile, more than any other modern light rail operation in the country. “Critics, many of whom call themselves conservatives (though most are really libertarians), predicted that both systems would fail because no one would ride them” they add. Both writers are venerable, renowned veterans of the U.S. public transportation industry. Lind was also a close associate of the late conservative leader Paul Weyrich, a well-known advocate of rail transit among conservative circles. In fact, high-quality transit, which usually means rail, benefits conservatives in a number of important ways. It spurs development, something conservatives generally favor, especially in Texas. It saves people, including conservatives, precious time, because those who ride rail transit can work or read on the train instead of wasting hours stuck in traffic. Transit of all kinds helps poor people get to jobs, which conservatives prefer over paying welfare. And rail transit, especially streetcars, helps support retail in downtowns by increasing the number of middle-class people on sidewalks. Libertarians’ arguments against rail transit mostly boil down to one criticism: It’s subsidized. Yes, it is. So is all other transportation. 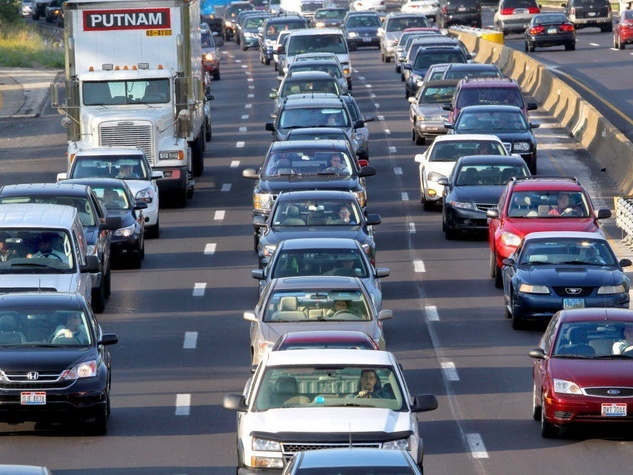 Highway user fees now cover only 47.5 percent of the cost of highways. 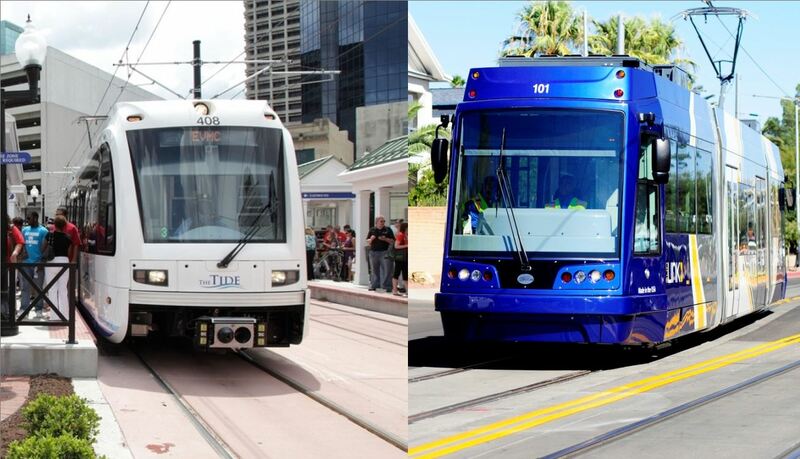 Nationally, rail transit of all types covers 50 percent of its operating costs from fares. It’s a veritable wash. In contrast, bus systems, which libertarians often favor over rail, cover only 28 percent of their operating costs from the farebox. The city’s rapidly growing population has packed its freeways at rush hours. And as other cities have found, building more freeways is not the answer. New lanes fill up as soon as they’re opened, and limited-access freeways in urban areas slice up and kill surrounding communities. 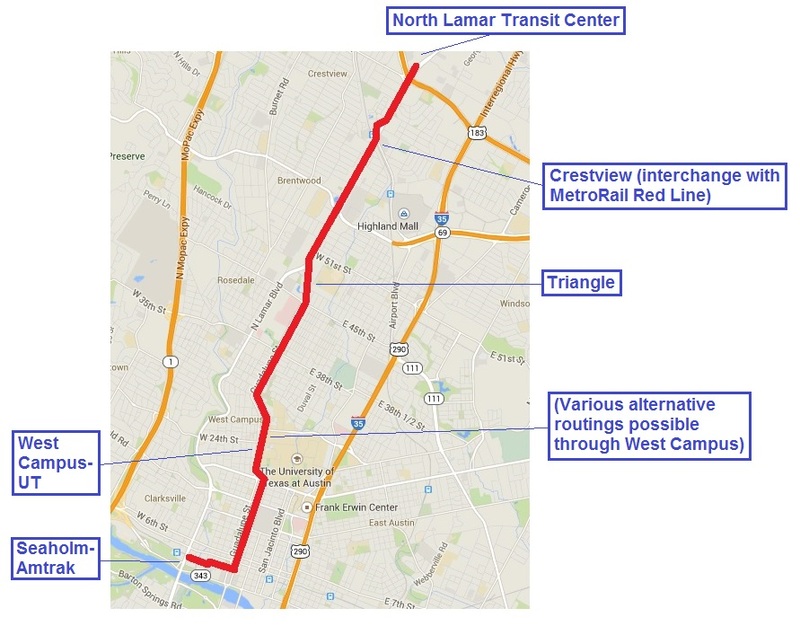 Included in their commentary is a hyperlink to our own article from last October, «A “Plan B” proposal for a Guadalupe-Lamar alternative urban rail starter line». (Also see our recent article «Plan for galvanizing Austin’s public transport development: Light rail starter line in Guadalupe-Lamar», which links to our series of articles for this alternative plan with “what, where, how, and how soon” details about the proposed project. • Resume planning light rail in Guadalupe-Lamar! There’s already a strong constituency and base of support for light rail transit (LRT) in the Guadalupe-Lamar corridor. Ironically, part of the evidence of community support for rail comes from the Nov. 4th election results themselves. While a majority voted to defeat the Highland-Riverside plan on the ballot, a tally of precincts suggests strong pro-rail sentiment in the heart of the city. 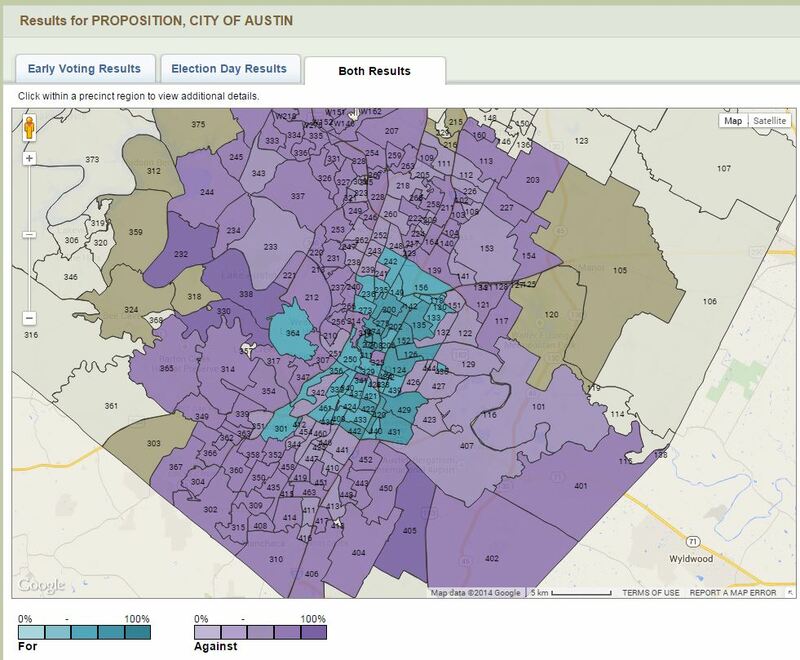 This is shown in an interactive election results map provided by Travis County, illustrating precinct-by-precinct vote preponderance, with pro-rail sentiment indicated as light blue (or turquoise) and opposition to the measure as lavender or purple (screenshot below). Conversely, this tends to bolster the plausibility that a sensible, widely supported light rail (“urban rail”) proposal could muster the majority of votes needed to pass. 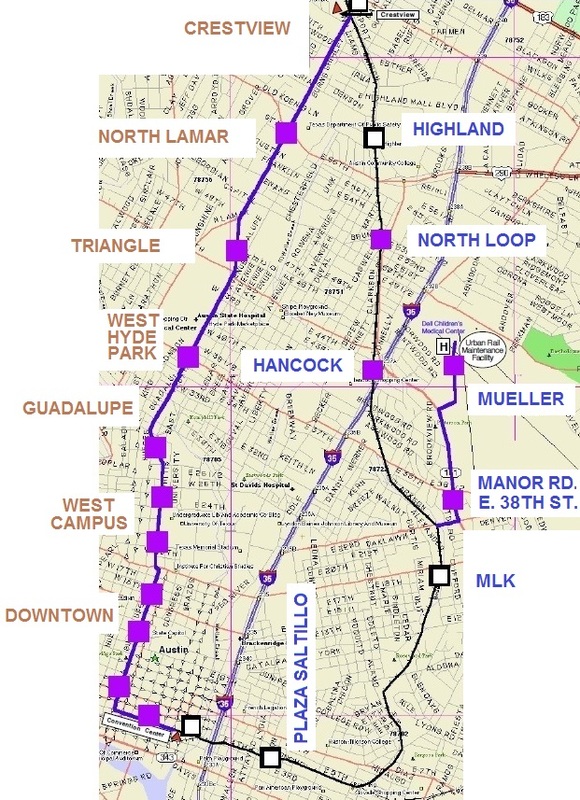 The prospect of an LRT starter line project in the crucial, central, high-travel Guadalupe-Lamar corridor has already mustered affirmations of support from adjacent neighborhood associations, the UT student government, and other community sources, and would seem to have strong potential to succeed as a ballot measure. 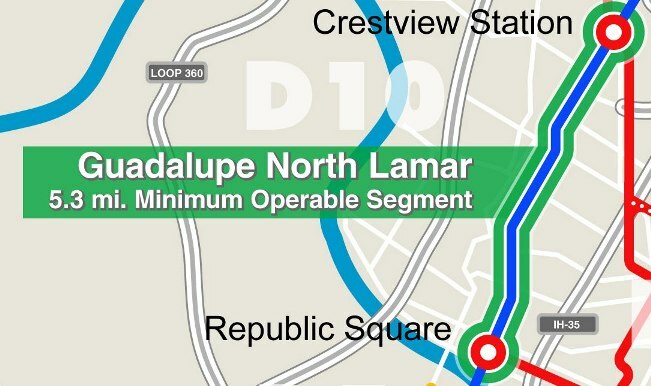 Most recently, via an interactive, annotated map (see screenshot below), the latest proposal for a Guadalupe-Lamar LRT route has been publicized by Brad Parsons, a community activist involved with urban and transportation issues. 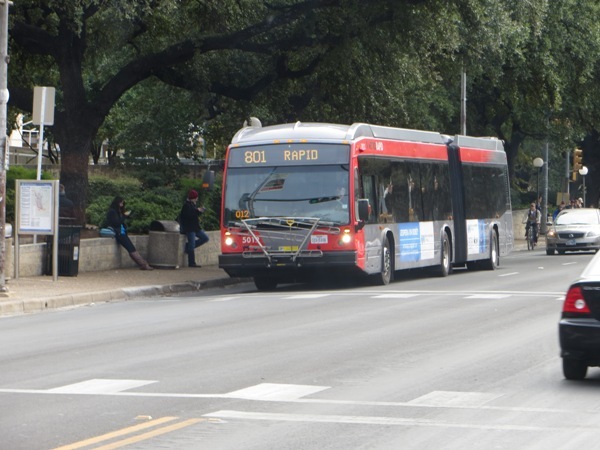 Starting at the North Lamar Transit Center at U.S. 183, this route would follow North Lamar Blvd., Guadalupe St., Nueces St., San Antonio St., and finally Guadalupe and Lavaca St. past established central Austin neighborhoods and activity centers, through the West Campus, past the Capitol Complex, and into Austin’s CBD. Brad’s proposal underscores the fact that there’s a variety of ways that LRT can be fitted into this constrained but high-volume traffic corridor. Throughout last year’s ballot measure campaign, supporters of the official rail proposal (led by Let’s Go Austin) continuously depicted “urban rail” as absolutely essential to secure and sustain Austin’s future mobility and livability. With the slogan “Rail or Fail”, Mayor Leffingwell himself repeatedly warned that Austin needed an urban rail transit system to maintain its economic vitality and mobility in the face of steadily menacing traffic “gridlock”. 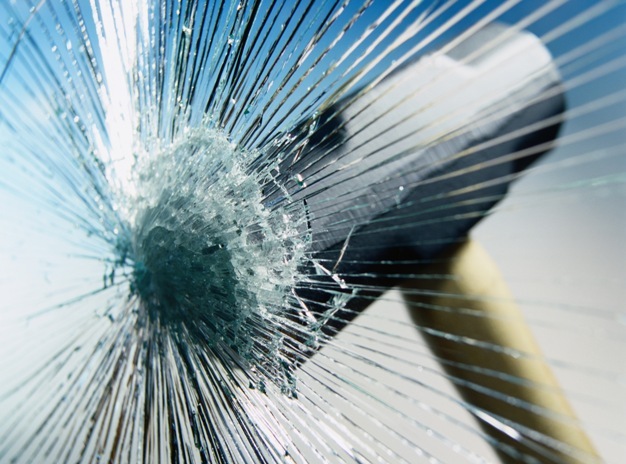 Furthermore, news reports and competent analyses emphasized that simply building more highways or adding more buses to the roadway grid was counterproductive. But while much of the Austin public seem to perceive and even embrace the alternative of an urban rail “Plan B” starter line routed in Guadalupe-Lamar (where the population density, major employment and activity centers, and heavy local travel are), key public officials and former leaders of the Let’s Go Austin pro-rail campaign seem to have been struck blind and deaf, oblivious to the obvious feasibility of LRT in the city’s most central and heavily used local corridor. For instance, the City’s Guadalupe Street Corridor Study, suddenly awakened from apparent dormancy to hold its first widely publicized public event on Dec. 3rd discussing “how to improve” the Drag, has explicitly ruled out consideration of rail transit, according to project manager Alan Hughes. Evidently at Martinez’s behest, Capital Metro has been sifting about for other ways to spend nearly $3 million in planning funds previously scheduled for further “urban rail” study (on the now-defunct Highland-Riverside proposal). Re-allocate these funds to a resumption of planning for LRT in Guadalupe-Lamar (where urban rail would actually make overwhelmingly good sense)? Certainly not. Capital Metro’s “Heart of the City” latest projects propose to usurp millions in urban rail planning funds for other purposes. 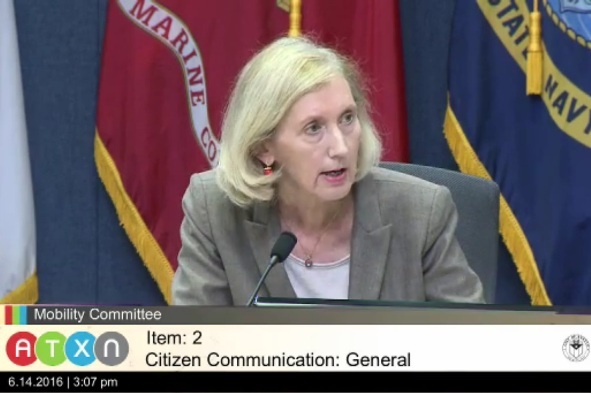 Screenshot from video of Dec. 15th Capital Metro board meeting. 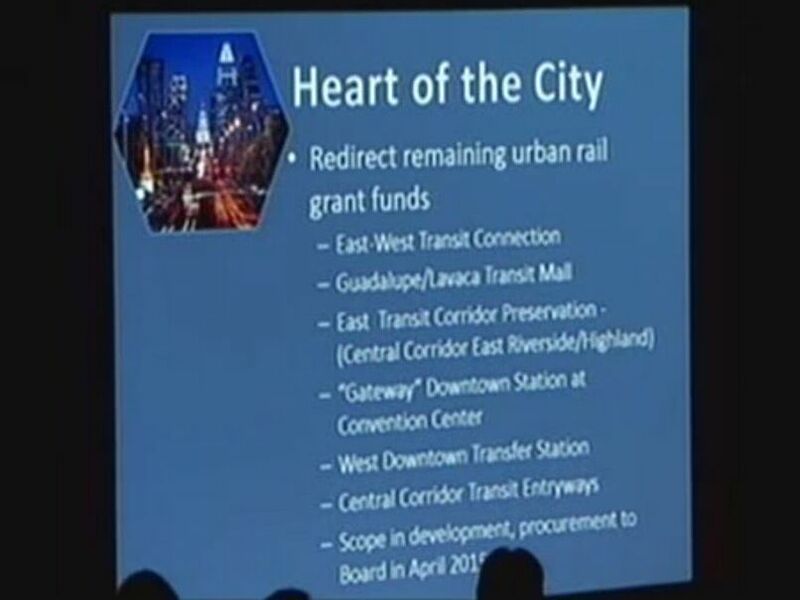 Instead, at a Dec. 15th Capital Metro board meeting, Todd Hemingson, the agency’s head of strategic planning and development, outlined a “Heart of the City” list of potential study efforts (see photo of PowerPoint slide, above). 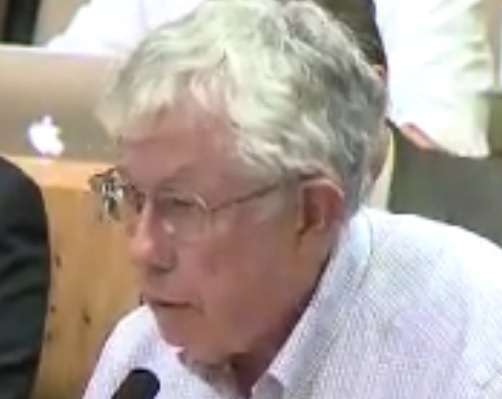 Hemingson’s presentation made clear that even the two items seemingly most relevant to the central Guadalupe-Lamar corridor — “Guadalupe/Lavaca Transit Mall” and “Central Corridor Transit Entryways” — were actually focused merely on modest bus service expansion and infrastructure (including a possible tunnel for buses between the Loop 1 toll lanes and arterials leading into downtown). 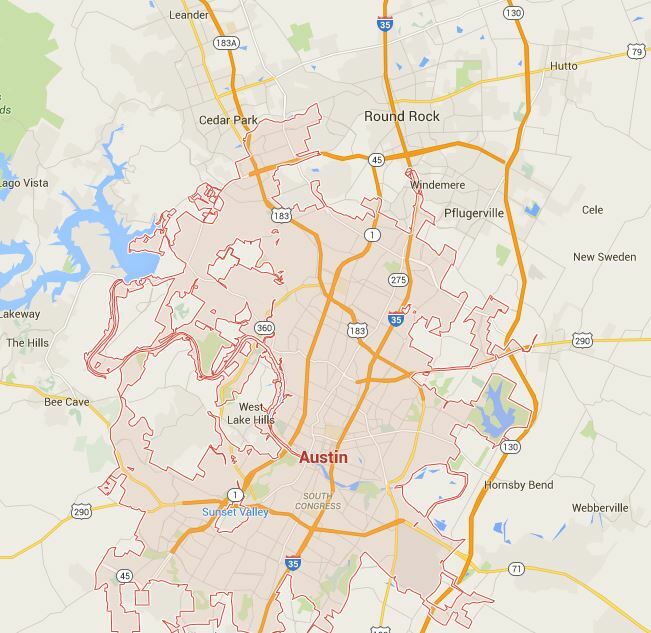 Austin — supposedly the most “progressive” city in the “reddest” rightwing state of Texas — has a distinctive (read: notorious) reputation for dithering, dallying, and derailing in its public transport planning … while excluding the general public and making key decisions secretively behind closed doors. Surely the time has come to break this pattern. Will a new mayor and a new district-based 10-1 City Council provide an opportunity to scrap this modus operandi of failure and disaster, bring the community into authentic involvement in crucial decisions, and move forward with the first phase of LRT as a starter line in Guadalupe-Lamar? You are currently browsing the archives for the Urban Rail category.